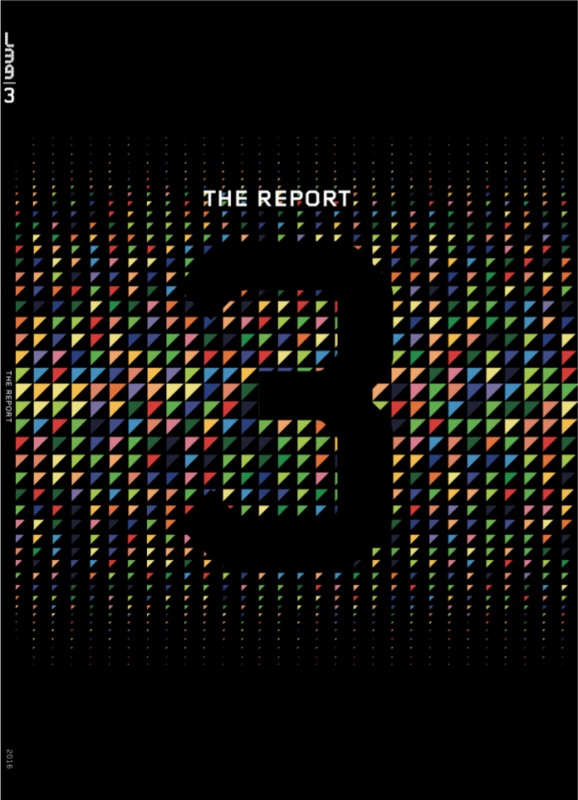 GLUE Studio designed the second annual report for the UK’s foremost fintech accelerator, Level39, titled “3”. The report’s art direction concept is based on “sound level and vision” – inspired by a futuristic vision created by tech, science and art. Using the latest magazine print technology, the number “3” is presented as a black spot gloss against a matte dark paper. 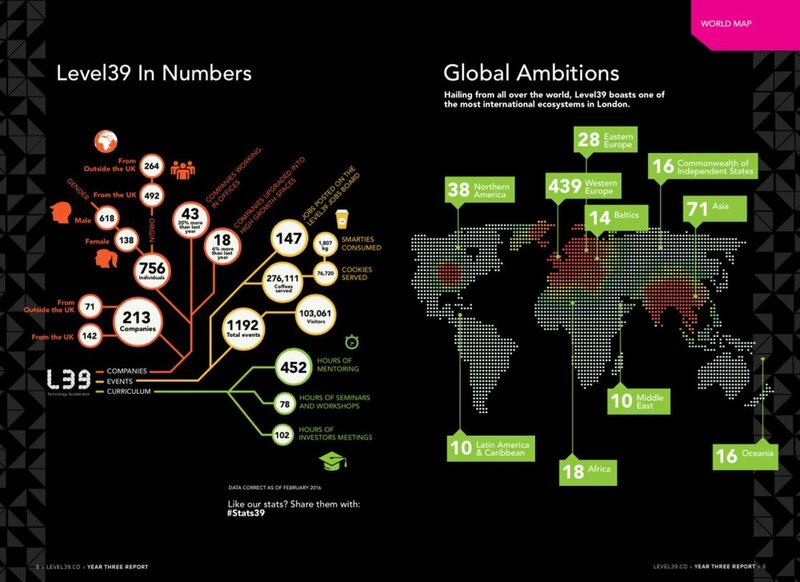 The infographic concept is based on the isometric perspective, which is the vantage point seen from the Level39 windows.